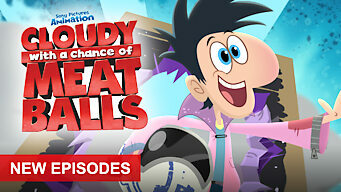 How to watch Cloudy with a Chance of Meatballs: Season 1 (2017) on Netflix USA! Yes, Cloudy with a Chance of Meatballs: Season 1 is now available on American Netflix. It arrived for online streaming on November 30, 2018. We'll keep checking Netflix USA for Cloudy with a Chance of Meatballs: Season 1, and this page will be updated with any changes. 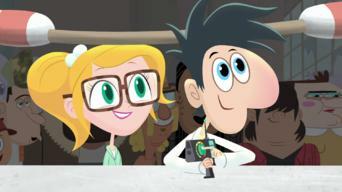 Teenager Flint Lockwood has a knack for invention. With help from his pal Sam Sparks, he might even change the world -- if he doesn't break it first. Long before spaghetti twisters were a thing, a young inventor made it rain with his wacky new devices. Ready or not! 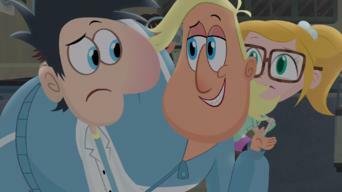 Season 1 of Cloudy with a Chance of Meatballs has 42 episodes. Because different Netflix countries have different availability for episodes, you'll need to check the episode listing below to see which are available in the USA. 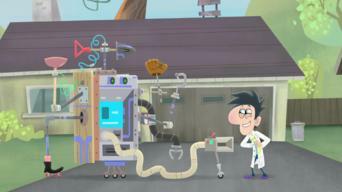 When Flint's dad asks him to do his chores, the young inventor creates a robot to take out the garbage. But after he automates it, it goes too far. 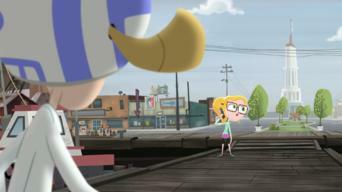 Flint introduces Sam to the power of Johnny Sardine, the city's wish-granting fish. 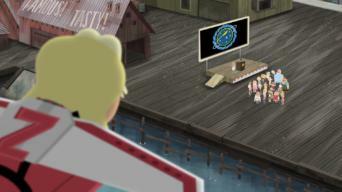 Flint's wish, however, plunges the duo into an ocean of trouble. 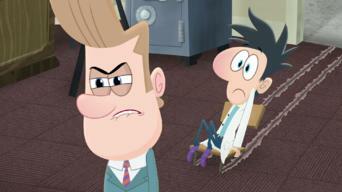 Flint and Sam flash back to the science fair that brought them together -- and when their competitive spirit almost destroyed the entire town. The sardine-hating Sam must eat sardine-flavored cheese on the air. Flint comes up with a way to make cheese taste like bacon -- with side effects. 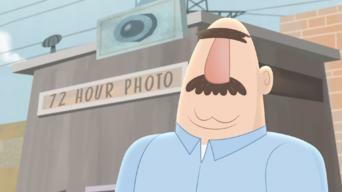 Flint simmers with jealousy when he's ignored and the town instead praises his father for an invention that keeps a pencil behind his ear. After Flint accidentally destroys Sam's prized possession -- her Princess Kittymittens keepsake -- he must work fast to fix it and make it up to her. 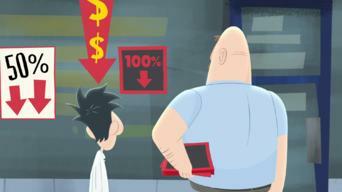 Steve finds the winning lottery ticket and stands to rake in the riches. It's no surprise that everyone in town wants to be Steve's best bro. Hoping to earn enough money to buy the hot new "Weather: The Board Game," Flint and Sam babysit their classmate Baby Brent. He doesn't make it easy. Flint modifies Sam's weather-forecasting orb to predict the future. Spoiler alert: Games are less fun, and a doomy prophecy can change everything. Sam is terrified of pandas, which she believes are aliens. So when Mayor Shelbourne brings a panda to town, she's determined to uncover the truth. 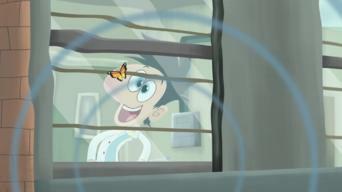 Flint breaks a scary house's window and meets its denizen, inventor Hector Evilman. The two quickly bond, but Sam suspects Hector is up to no good. A tardy Flint combines rooster and alarm clock DNA to create the perfect wake-up call, except it's not. Now his birdbot is ruining everyone's sleep. 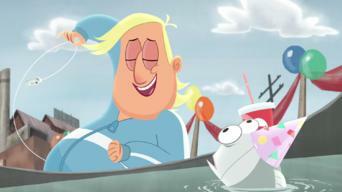 Flint and his father set off to catch the large sardine of legend, the Sardemon. But Flint doesn't adore the great outdoors, so it kills the mood. The town celebrates all things sardine. 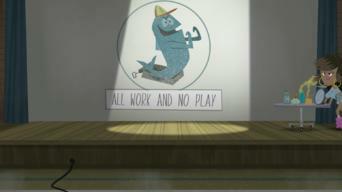 But Sam must speak out against the cruelty of the Sardine Races as the hapless fish are tossed off a cliff. Earl forbids Flint from inventing at school. 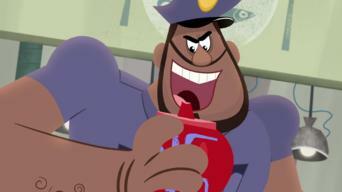 But curiosity gets the better of the officer, who must find out more about Flint's latest invention. 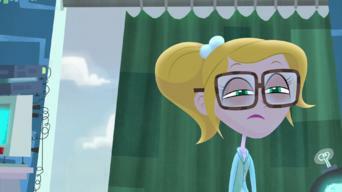 Sam and Flint are taunted for being too similar. So the twosome try to prove that they have more in common with Brent and Gil than with each other. 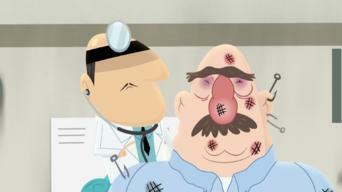 Tinkering with your DNA-combining machine can be hazardous. 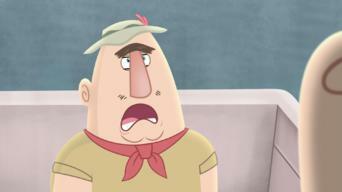 Flint fears as much when he suspects he accidentally combined himself with Steve. Flint believes he's dreamed up his best invention ever -- while asleep. Everyone's thrilled. However, he can't remember what he invented, exactly. 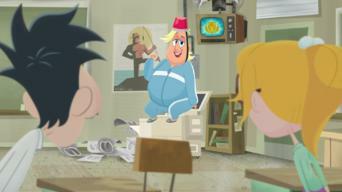 Flint accidentally brings the statue of Sal the Sardine to life. Now Sal's on the loose and can't stop gabbing about all the secrets he's overheard. Clouds form on Flint and Sam's friendiversary when he creates a cloud maker and she grows too attached to the supercute cloud pet it produces. 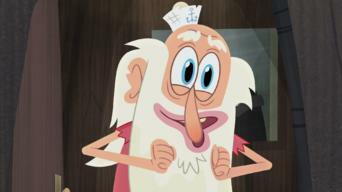 Convinced that gross and funny people are the most persuasive, Flint comes up with a bean that makes him toot. It's a total blast -- until it's not. 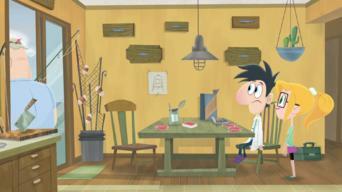 Flint's devices stress out his dad, so the doctor orders him to stop inventing. Flint manically concocts relaxation machines, but they don't help. Earl hates to take vacation. So Flint invents virtual-reality glasses to entertain him during his time off. But the breakthrough ends up backfiring. To avoid going bald like his dad, Flint creates the Hair Unbalder. But he learns that baldness has its perks, as the device causes a hairy situation. 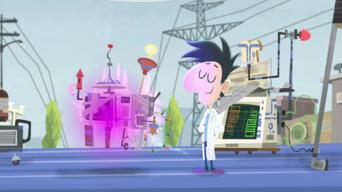 Flint and Sam sneak into the town time capsule to implement their ideas and get cryogenically frozen by mistake. They wake up to find a wasteland. 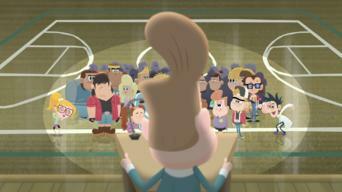 Flint is cut out of the Science Club photo, so he invents a device that will get his picture into the yearbook. Now Flint's face is everywhere. 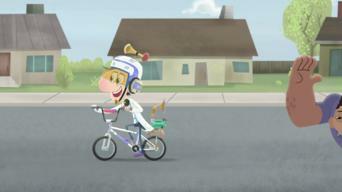 Steve goes on vacation, and Flint uses the Happy Clappy Monkey as his replacement. However, Steve is now bananas for Happy Clappy. The mayor's robot boxing bout brings out the best in Flint's contender. His robot is a lover not a fighter, and he easily disarms the mayor's bot. Flint and Gil square off over who has the best dad, so Sam organizes a competition between Tim and Shelbourne. Flint can't resist meddling. 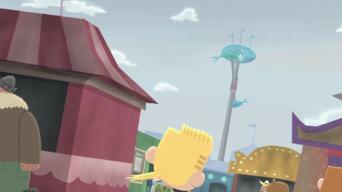 Flint makes a Banana Replicator for Steve and mistakenly creates his banana clone. To his surprise, the whole school is sweet on the clone. 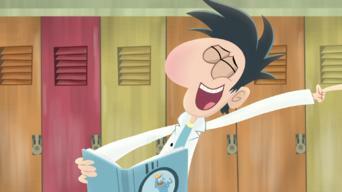 Sam creates a cool new lab coat for Flint, not realizing that his mom gave him the stinky original article. 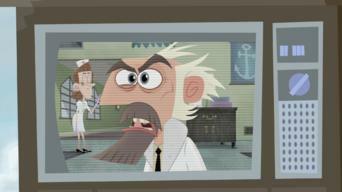 Hector Evilman just makes matters worse. 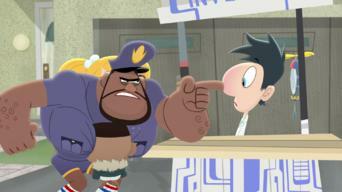 Earl blames Flint for stirring up trouble for him at home. It doesn't go quite as planned when Flint tries to sweep Earl's wife off her feet. Flint builds a spaceship for entrepreneur Howard Zorbleck. But he and Sam make a shocking discovery as they hurl into space with the businessman. 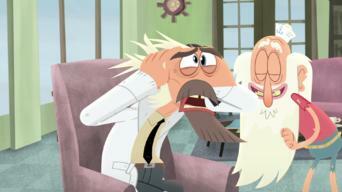 Flint's dad gets a visit from his rebellious, look-alike brother, Jim. The trouble starts when the enterprising bad boy attempts to take over. Mayor Shelbourne challenges the kids to venture into his spooky haunted house, in exchange for all the town's candy. Candy-loving Sam is all in. Flint's determined to take down Hollywood pseudoscience. But when he accidentally whips up his own monster, he must learn to care for his creation. Flint tells the Ratbird origin story to Sam. Back in the day, he was trying to help his dad's bait shop. So he created a cheese-worm monster. 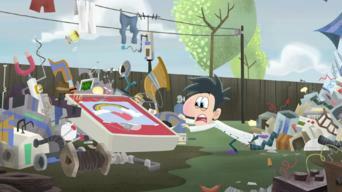 Flint's clutter-busting dad forces him to put his precious inventions up for sale. Then rival Hector Evilman makes Flint an irresistible offer. 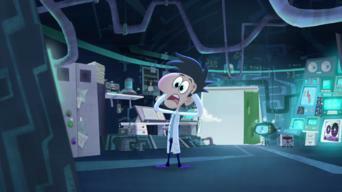 Hector Evilman asks Flint to help him with his inventions, citing the inventor's code. So Flint decides to help out, but Hector has ulterior motives. Sam and Flint get Brent fired from his job as Baby Brent. So Flint invents a body resizer to help Brent find new roles that'll be a better fit. 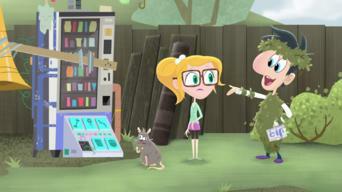 Sam convinces Flint to find a stray cat's owner. Unfortunately, she falls in love with the feline, putting her on a collision course with the mayor. Sam delivers an ominous forecast: A meteorite is due to hit town. Flint moves the island out of the way, but a meatball is mucking up matters.